The Tinka Tong Alto is almost twice the size of the Piccolo but is still one of the smallest tongue drums on the market. In sound and manageability it is a full grown up tongue drum. 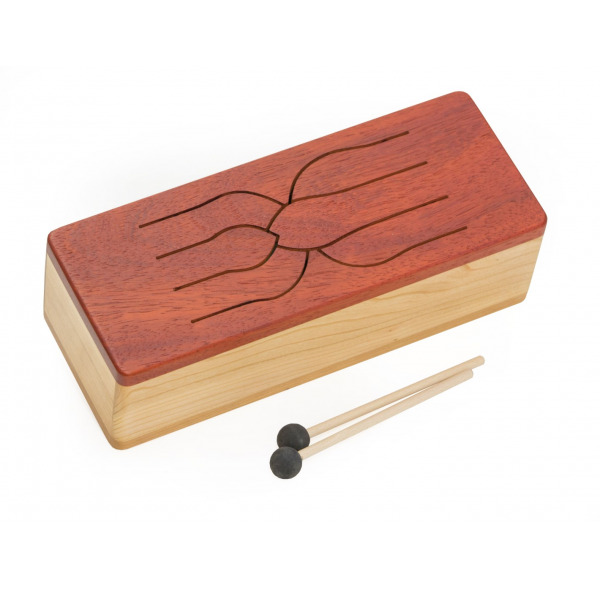 With the 6 notes it can still be played with one hand, the hole at the bottom gives you a good grip. It sounds full and strong, but can also played soft and mellow. Tinka Tongs, the small tongue drums, speak in the language of forests, trees and wood. They convince through their handiness, lightness and clarity of tone. 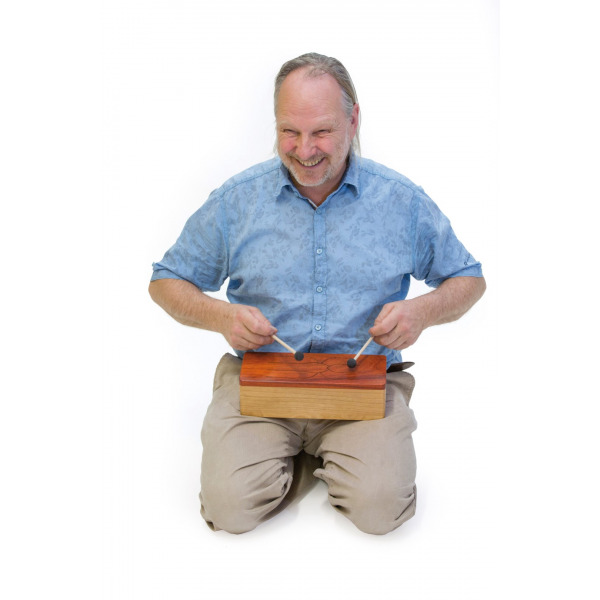 With the addition of the Tinka Tongs we do give our repertoire of tongue drums a mobile version which is easy and fun to play. A large range of different playing techniques can be discovered, including playing with the finger in addition to using the mallets. Size : 30 x 12 x 9 cm / 12" x 4.8" x 3.6"